Crawfish can be used as a natural method of weed control. AIRPORT and Door to Door Shipping Available NOW!! please email us and ask us to add you to our update list. Also, Gift Certificates are available in any amount! Mardi Gras is Feb. 25, 2020. For future dates, click here. Stretch your dollar with a Cajun style home or business party! A lot cheaper than take out and lots more fun! 1. Please note try to give us 2-3 days notice in advance notice for orders (more notice needed around holidays). However, the sooner you place your order, the better. We ship orders a day ahead. 2. Any questions before placing order, call 985-226-6444. 3. Some orders may be filled on the same day if received early in the morning; however, those orders need to be phoned in. 4. Also keep in mind that we fill our orders on a first come, first served basis. The earlier you order, the better. Thanks! PLEASE NOTE: Crawfish prices subject to change as season progresses, due to weather and availability conditions, and according to quantities ordered. 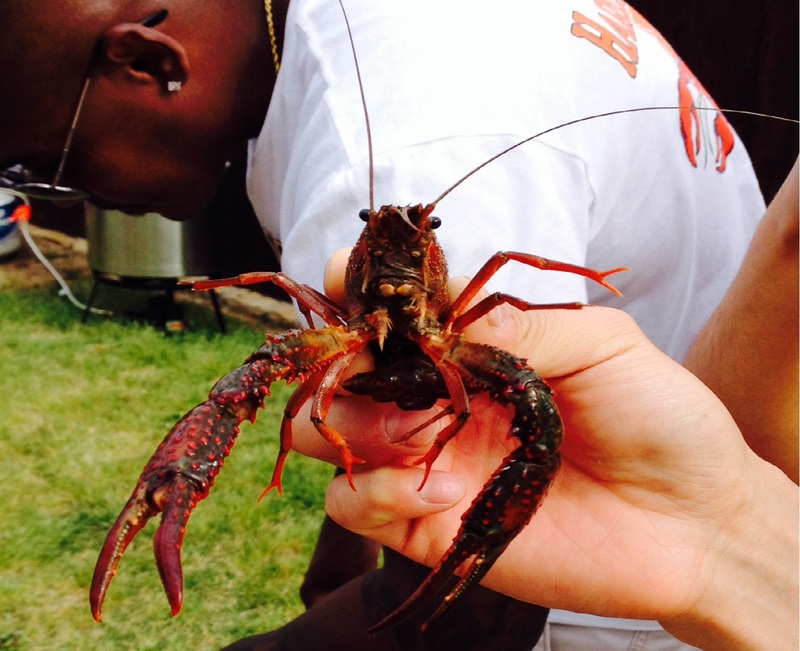 Crawfish prices are lowest in spring and summer months. We deal ONLY in high quality crawfish, wild (spillway) and farm raised with unlimited resources and the best service available throughout the year, since 1990. NOTE: Pricing is not the only variable that goes into shipping of live crawfish. 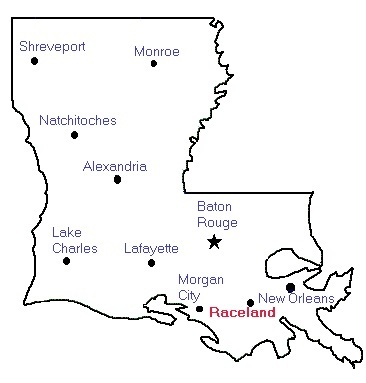 Other variables include quality crawfish that arrive alive guaranteed, crawfish shipped from New Orleans International (more flights than metro airports), crawfish shipped by the most experienced live crawfish company in Louisiana seven days a week, and unlimited quantity; also other companies cannot supply all year long as we can. Please remember we are the #1 shipper of live crawfish in the U.S., since 1990. Please see our comments from past customers!! NOTE: Please remember the normal person does not want to eat small, dead crawfish. After you calculate upset guests and dead crawfish, the cheaper price does not seem so cheap. 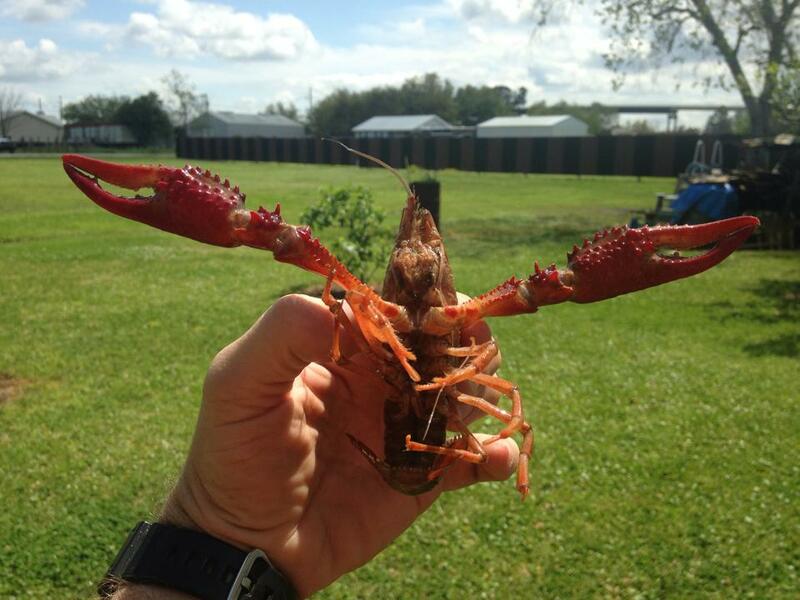 If you want to purchase large, graded, quality spillway swamp crawfish, buy from us! Please remember, you get what you pay for! Don't let your party turn into a disaster. in the shipment of live crawfish since 1990! Live and Boiled Crawfish Year Round! we take orders on a first come, first served basis. all product prices include packaging. Live Louisiana Crawfish (extra large) 14-16 count to lb. Boiled Louisiana Crawfish (extra large) 14-16 count to lb. $5.10/lb. Live Louisiana Crawfish (jumbo) 12-14 count to lb. Boiled Louisiana Crawfish (jumbo) 12-14 count to lb. Crawfish Tails, fat on - Fresh or Frozen (Domestic) $15.95/lb. Fresh or IQF (please specify) head-on Gulf white Shrimp, 16-20 ct.
Boiled head-on Gulf white Shrimp, 16-20 ct.
Frog legs - frozen, 4 to 6 pairs per lb. Fresh brown shrimp season opens in mid-May. Fresh white shrimp season opens in mid-August. Also, Frozen shrimp - head on or off available. Crawfish & Pork Sausage $7.99/lb. Turkey - deboned, stuffed with crawfish, seafood or shrimp dressing. Thaw, then cook at 350 degrees for 3 hours. Feeds 8-10 people Approx. weight 8 lbs..
Turducken (turkey, duck and chicken) - stuffed with cornbread, crawfish, oyster, rice, seafood or shrimp dressing. Thaw, then cook at 350 degrees for 4 1/2 hours. Feeds 10-15 people. Approx. weight 8-10 lbs. Good Cajun variety pack - great for gifts, parties, holidays, samples, etc. All products vac packed and frozen (except boiled product). Drop Shipping available. Feeds approximately 15-18 people. Local delivery prices depend on how many ordered. Gator heads are completely preserved forever. Great for any office or home (impressive sight)! Note: These prices are F.O.B. New Orleans packaging included. Air freight is sent freight collect. We ship 7 days a week. Prices are quoted in U.S. currency. Prices are subject to change. Thanks. We ship two ways: To your nearest major International airport or overnight to your door. Minimum order is 30 lbs. This price is an approximate price charged by the airline and can be paid by check, money order or credit card at the airport when you pick up your order. If the airline for some reason is supposed to charge you and does not or if the payment you make at the airport is not valid, we will charge the card you use on the order form to pay for the shipping charge. YOU WILL NEED VALID PICTURE I.D. TO PICK UP YOUR SHIPMENT. All air freight is sent FREIGHT COLLECT except for the Party Packages. For Saturday delivery, add $35.00. Also, we can ship using your Fedex or UPS account if you supply your account number on the order form. Use the tracking information we provide in your confirmation email to track your shipment, get directions to the cargo area of the airport, etc. Please make sure to track the order to get an accurate arrival time and date. Airline shipments can usually be done 7 days a week. Unlike most of our competitors who ship from small regional airports where your products sit in a hot warehouse for limited flights, we ship from New Orleans International Airport (MSY). Use the tracking information we provide in your confirmation email to track your shipment. HAWAII, NORTH DAKOTA, MICHIGAN & WASHINGTON STATE: Only cooked or frozen crawfish may be shipped to these states. Airline shipments to HNL must be prepaid. CLAIMS: If your shipment does not arrive in time or becomes lost, you must contact us immediately (within 1-3 days) in order that we can file a claim. All shipping companies have a time limit on filing a claim and we cannot refund your money if you do not contact us in time to file a claim. Your refund will be applied once we receive it from the shipping company. Before placing order, please refer to Shipping Costs and Instructions above. Tracking number is emailed to the address on your order form - if you do not receive confirmation email within 24 hours, please call 985-226-6444. Please check your email. NOTE: CANCELLATION or CHANGES of any order must be made in writing the day before shipping date with receipt of your message confirmed by us. TRACKING YOUR ORDER: Tracking number is emailed to the address on your order form. Use the phone numbers and web sites below to track shipments. You can track on the day of shipping after 5:00 p.m. Central Time. NOTE: We choose the best route available every time we ship our customers freight. However, airlines put shipments on flights which they think is the best route which may not work out according to our specifications. Therefore, we are not responsible for these actions once it is out of our hands, but if this does occur, we promise we will work with you on this. Please call us at 985-226-6444 for assistance. Note: Vegetables can be adjusted according to your taste. Fill 1/2 pot of very large pot with water. Add all ingredients except seafood (corn, potatoes, onions, shallots, mushrooms, etc.). Boil ingredients for 20 minutes except frozen corn and mushrooms - boil those for 10 minutes. Take out vegetables and bring water back to a boil. Add seafood and boil 5 minutes for crawfish, 20 minutes for crabs and 3 minutes for shrimp. Remove from heat and allow seafood to soak for 5 minutes with cover off. Remove seafood from water. Serve with seafood dip. For Cajun style serving, place a lot of newspaper on a long table, and pour the drained vegetables and seafood on the newspaper. Allow 4-5 lbs. for heavy crawfish eaters, 2-3 lbs. for light or new crawfish eaters. Note: Above ingredients can be adjusted according to your taste. Place mayonnaise in medium bowl and whip with fork until creamy and smooth. Add remaining ingredients and mix thoroughly. Pour into individual small bowls for each person and serve with boiled seafood. Use this to dip boiled seafood and vegetables. Saltine crackers also taste good in this dip. Mix all ingredients except salt and cayenne thoroughly. Place mixture in muslin or cheesecloth (very breathable fabric) and tie with a string to make a sachet. Place sachet in water along with salt, cayenne, and vegetables. Let water boil for 10 minutes. Take out vegetables, bring water back to a boil and then add seafood. Boil 5 minutes for crawfish, 20 minutes for crabs and 3 minutes for shrimp. Remove from heat and allow seafood to soak in seasoned water for 5 minutes. I came to you with a tall order: For weeks, I'd been planning a crawfish boil for about 40 people, and invitations were sent. So, I needed 90 pounds of live crawfish. I needed them delivered to Milwaukee. Overnight. Oh, and I also needed them over Fourth of July weekend, a busy picnic time. And by the way, I needed them at a time when every other site online that claims to ship live crawfish was turning me down because flooding and high temperatures had depleted the supply. And did you deliver? DID YOU EVER! Two bags of gorgeous crawfish...Alive, and right to my door. Myself and my co-host threw our crawfish boil, as planned and on time. As we promised, we fed loads of hungry people a traditional Louisiana crawfish boil complete with your enormous crawdads, potatoes, corn, and your boil spice. They were thrilled, and so were we. And at the end of the day, we still had enough crawfish left over that we plan to try out a few of the recipes you were thoughtful enough to send along with our order. I cannot recommend you highly enough. Everything on your website is true, as promised! Next year, I'm not going to bother searching frantically online and making desperate calls looking for crawfish. Next year, I'm only making one call: To Kyle LeBlanc. Click here for more customer comments! !